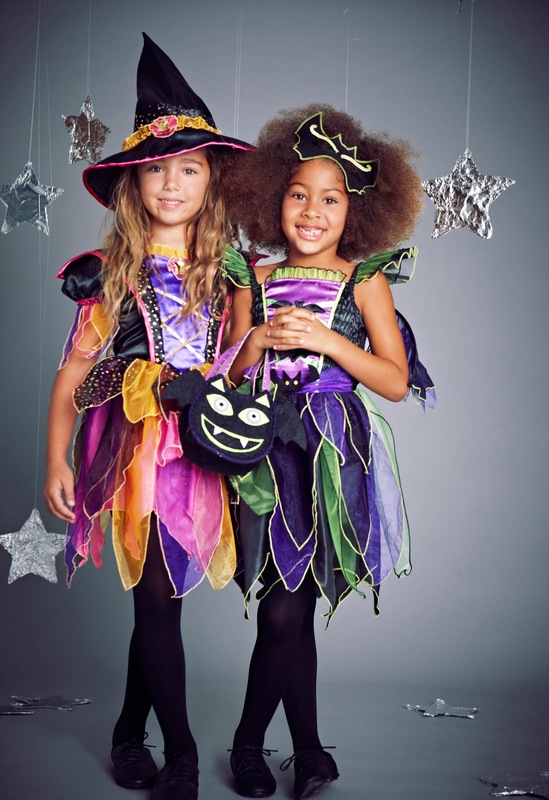 There are only a few days to go to Halloween so make sure that your little monsters will stand out from the crowd with the fantastic Halloween collection from Next. 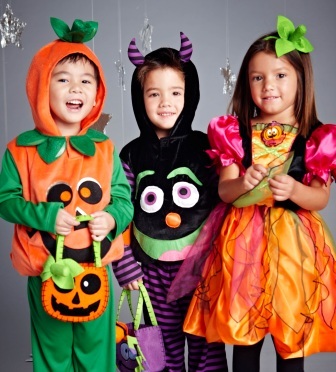 They have some seriously spooky outfits which will be perfect for trick or treating, or for enjoying a scary Halloween party. These outfits are so cute! The spider tabard (£12) is my favourite, especially when matched with the purple spider felt bag - perfect for collecting all of your sweet treats at Halloween. The bags are also available as a bat and a pumpkin, they are only £3.50 so are an affordable way for your child to join in the fun this Halloween. For slightly older children take a look at this brilliant glow skeleton costume which is just £14 - just the thing to scare Granny with this Halloween! 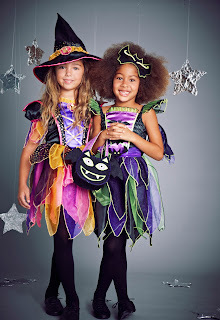 Super stylish girls will love these bright witch (£15) and bat witch (£14) outfits that manage to look cute and scary at the same time! Next can also help you choose some tasty sweets to keep the ghosts and ghouls happy and to ensure you don't have any tricks played on you! 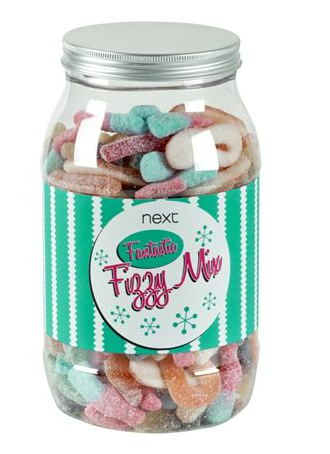 They have a variety of different sweet jars containing old favourites like Wham bars and strawberry bon bons. Not only do they taste great, but they'd look fantantastic lined up on a shelf too! I hope you all have fun this Halloween!